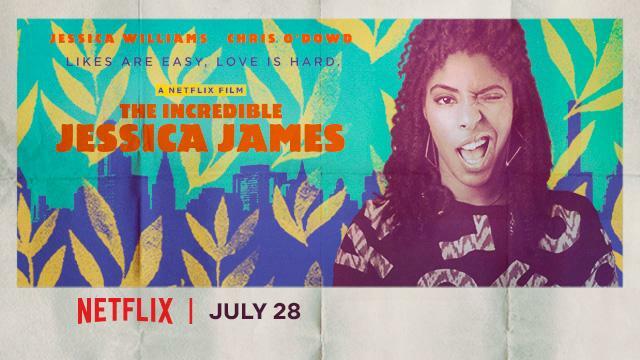 Jessica Williams (The Daily Show, co-host of WNYC Studios’ 2 Dope Queens) stars as a young, aspiring playwright in New York City struggling to get over a bad breakup. She is forced to go on a blind date with a recently divorced app designer, played by Chris O’Dowd (Bridesmaids), and the unlikely duo discover how to make it through the tough times in a social media obsessed, post-relationship universe. Two days before its Netflix release, see an advanced screening of the romantic comedy getting rave reviews since it premiered at the Sundance Film Festival earlier this year. Jessica Williams and writer/director Jim Strouse will join us after for a special Q&A, moderated by 2 Dope Queens co-host Phoebe Robinson. *Please note: The film will not be available on our live stream, only the post-screening Q&A.